It takes a lot for an NBA player to warrant his own signature shoe. Not only do athletes have to be incredibly skilled, but a major apparel company needs to believe that their popularity will be enough to help them push the most amount of product. It’s one thing to be a superstar on the basketball court, but it’s a whole different story to become a brand off it. With enough talent in the NBA, it’s no surprise that a lot of money was made from the sales of signature sneakers last year. However, according to Forbes, there were certain players whose kicks did better in the United States than others. 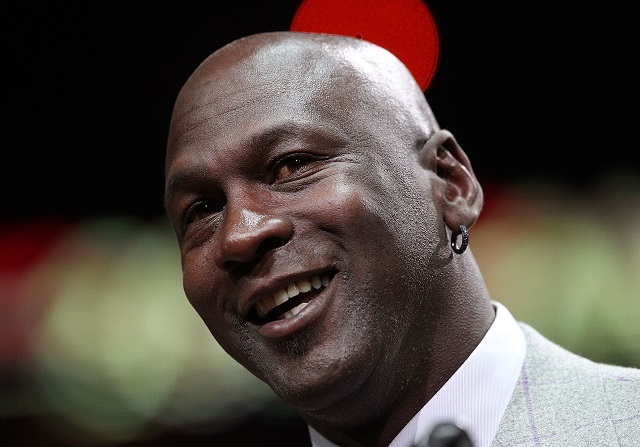 Based on the 2014 sales of their signature shoes, here are the NBA’s top five shoe salesmen. 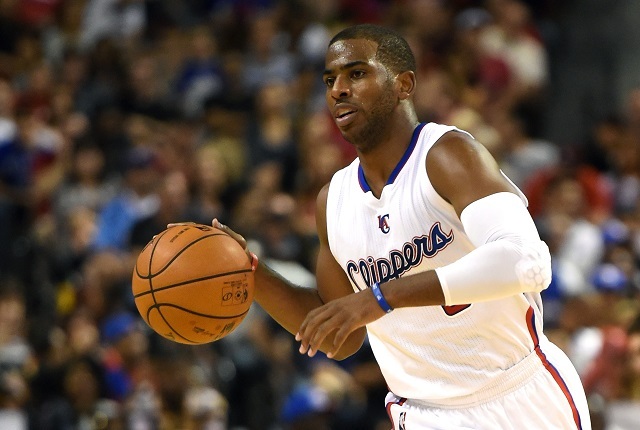 Los Angeles Clipper Chris Paul (pictured) is probably the most fundamentally sound point guard in the NBA. CP3 is the perfect floor general. He doesn’t just break down a defense down with his handle — more often than not, he uses his intelligence to control the game. And while he’s tormenting opponents on the basketball court, he’s doing it in his Jordan Brand kicks. His shoes may not be the top seller on the market, but we’re sure that Nike isn’t complaining about the $32 million he’s helped send its way. Derrick Rose was supposed to be the man for Adidas. The company believed so much in this Chicago Bull’s marketability that in 2010, right when he won the MVP award, they signed him to a lucrative 13-year, $185 million deal. However, due to Rose’s continuous injuries, Adidas has not been getting the return on investment that it had hoped for. Even though D-Rose’s signature sneakers brought in $32 million for the company in 2014, this total was down 20% from the previous year. Kobe Bryant comes in at third on the list, with his signature kicks pulling in $105 million for Nike. While Bryant has always been an extremely popular figure in China, his sneaker sales in the United States have shown considerable growth in the past year. By more than doubling his numbers ($50 million) from the previous year, Bryant has made the biggest gains out of any NBA player with a signature sneaker. Not bad for the Black Mamba. It’s a shame his Los Angeles Lakers aren’t making the same kind of strides. 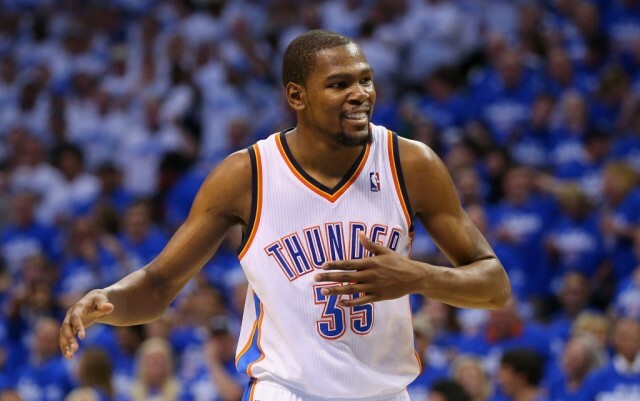 Kevin Durant’s monster 2013-2014 season did more than just bring him his first MVP award award it also continued to increase his overall popularity. In 2014, KD’s signature shoes racked up sales of $195 million, up 11% from the previous year However, this increase does not compare to the 400% rise that Durant made in 2013. Still, Durant is such mega-superstar that Nike had no problem giving him a 10-year contract extension that could be worth up to $300 million. Whether Durant chooses to stay with the Oklahoma City Thunder when he hits free agency in 2016, or if he can make a full recovery after spending much of last season sidelined with injury, is anybody’s guess. But it’s safe to assume that he’ll remain part of the Nike family for years to come. There is only one king, and that title belongs to LeBron James. In 2014, his signature sneakers brought in $340 million for Nike, nearly doubling Durant’s total in the process. He is one of the biggest athletes on the planet, and, as you can see, the numbers back that up. This past year, his sales were up 13%, and it also helps that James has 12 signature shoes to his name. LeBron may have returned to play for the Cleveland Cavaliers this season, but it’s clear that his reach far exceeds the state of Ohio. Reign on, LeBron. Reign on. To see the other NBA stars whose signature sneakers made big sales in 2014, check out the rest of Forbes’s list here.